But what if the mother changes her mind? What if she regrets dropping her baby off at a Safe Haven site? It is important to know that the mother’s rights are not immediately terminated when she takes the baby to a Safe Haven. She can come forward at a later time, identify herself, and begin to make choices for herself and her baby again without getting into trouble. Since the State of Indiana has legal custody of the baby at this point, the birth mother will need to work with the caseworker in making future plans for her baby. However, the birth mother’s voice can be heard. She will not be in trouble for leaving her baby with a Safe Haven provider. 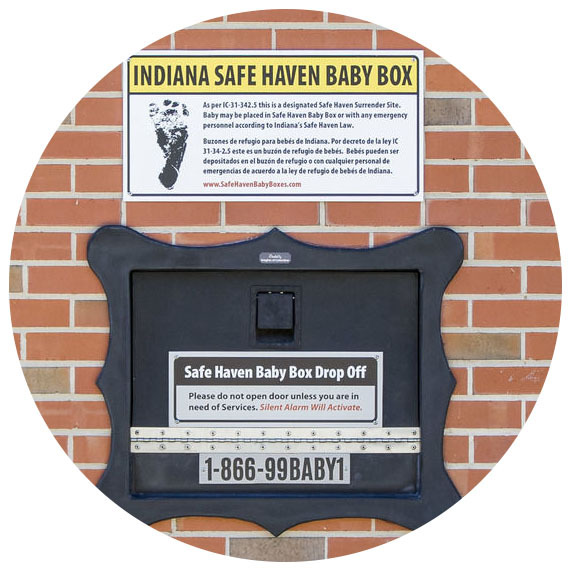 For more information on Safe Haven Baby Boxes, visit their website.